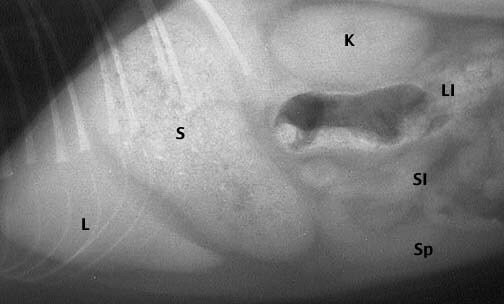 These are close up views of the radiographs on the previous page. 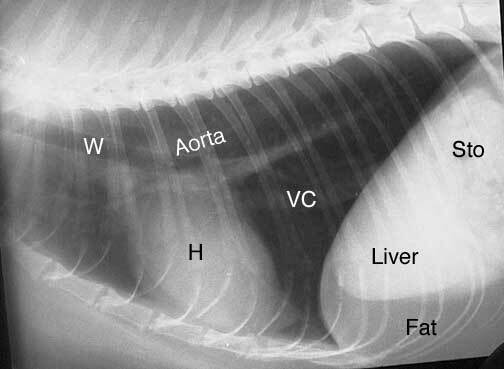 When you are done looking at them go back to the “What’s Your Diagnosis Page” to continue learning about radiography. This view is towards the rear of the abdomen. 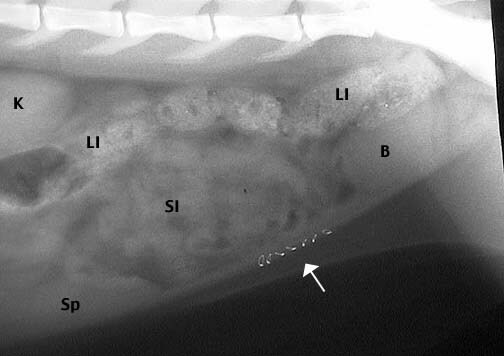 The white arrow points to stainless steel sutures from a spay (OVH).